Italgi automatic sheeters are machines designed for the automatic production of dough sheet with a thickness of 5/6 mm and a variable width depending on the model. The structure of the sheeter is in stainless steel and the lamination group consists of only 2 pairs of rollers with special profiles mounted on four shoulders to eliminate the possibility of infiltration of moisture into the bearings. The machine is equipped with a conveyor belt for the finished product. 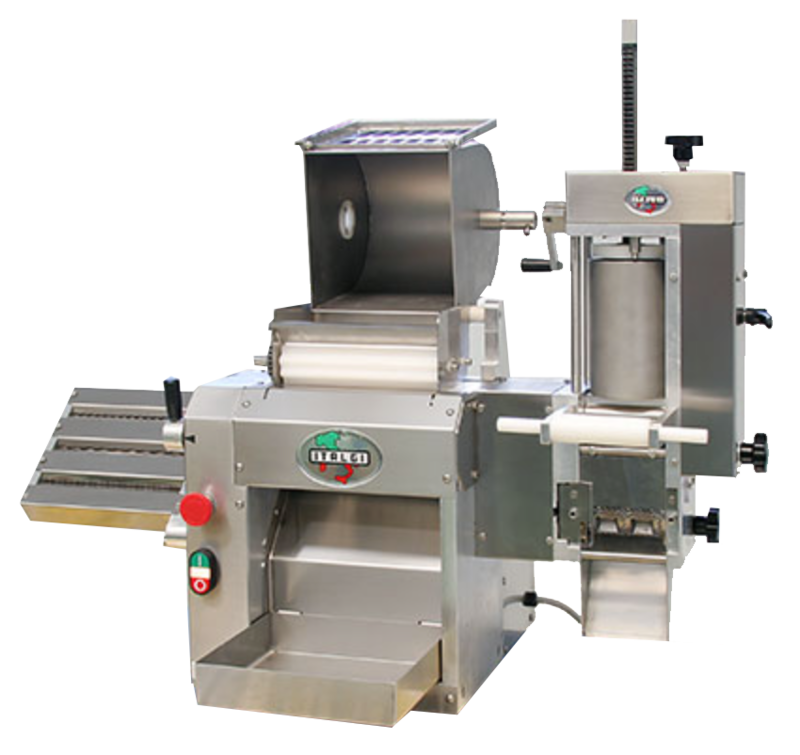 Modula is the ultimate professional combined pasta maker. It has been designed to match the needs of restaurants, canteens, rotisseries, bakeries and other pasta related business. It allows the production of several kinds and shapes of pasta and requires a limited kitchen space.